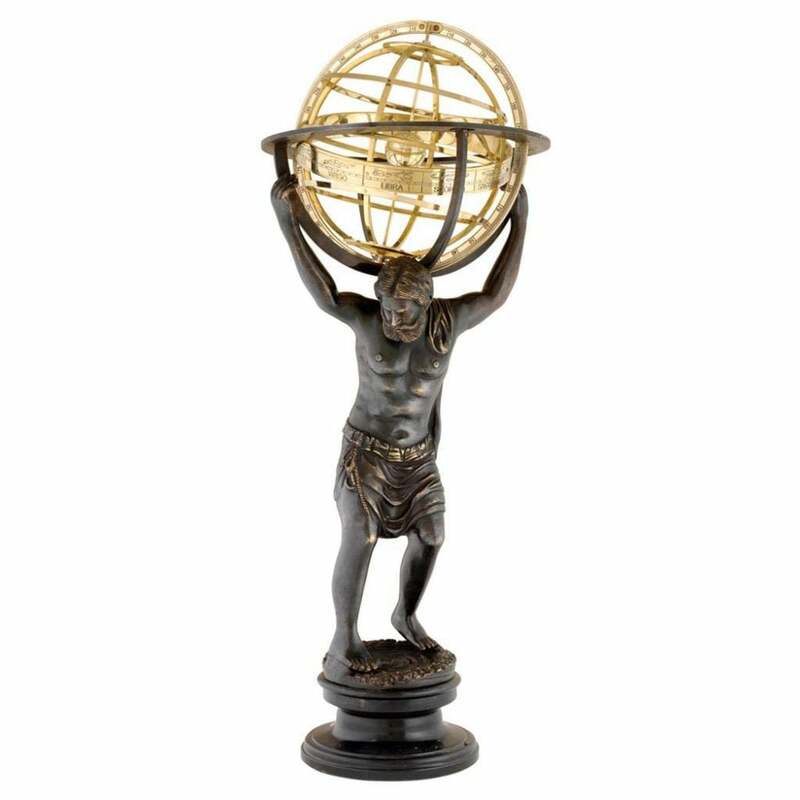 Classically inspired by the legendary Greek mythological figure of Atlas, Eichholtz present the Atlas with globe statue. The marble base extends upwards into an antique brass finished figurine of the Titan God holding a skeleton globe. Etching of the signs of astrology completes the gold finish of the brass globe. We suggest styling the striking sculpture on a console table as a standout figurine. The neutral colourings of the sculpture lend themselves to a variety of schemes both contemporary and classic.